Advances in lighting technology have produced a variety of new retrofitting methods and components that are transforming existing high-volume facilities and transportation infrastructure. By their very nature, retrofits are designed to enhance performance and provide significant energy savings. 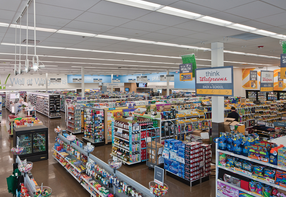 Yet some of the most beneficial features of today's lighting upgrades may lie in updated circuitry designed to meet modern power demands for illumination that provides safer, more secure environments for occupants. 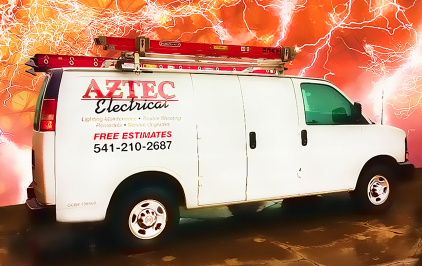 << Aztec Electrical: we provide residential electrical services and commercial electrical services - click here from more information. Over the years, the combination of growing lighting consumption and aging structures has allowed retrofitting to become the driving force behind utility efficiency efforts, with the emphasis on commercial facilities. Offices, retail and warehouses are the largest consumers of energy in the United States, and lighting accounts for more than 40 percent of the commercial sector's overall electricity consumption according to the American Council for an Energy-Efficient Economy in Washington, D.C.
With increased electricity costs and the growing interest in energy conservation, facility managers have turned to new lighting technologies to provide high-quality, energy-efficient lighting options for multiple applications. These products include occupancy sensors, dimmers with automatic shutoff controls, ceramic metal halides, inductive lamp systems, one-lamp linear fluorescent fixtures, high-intensity T5HO fluoresces and super T8 lamp systems. For instance, lighting manufacturers estimate a new electronic T8 lamp and ballast system burns approximately 30 to 50 percent less energy, operates cooler and reduces maintenance costs. In addition, it can generate up to 20 percent more light with improved color rendering. A typical payback on the newer technology is one to three years based on annual operating hours and kilowatt-per-hour cost.